The impact of disordered eating is broader than an addictive lifestyle and unhealthy patterns; it is profoundly physical. Food is where we get the nutritional building blocks for the maintenance of our body. When we do not provide our body with the correct supplies, it cannot maintain health. 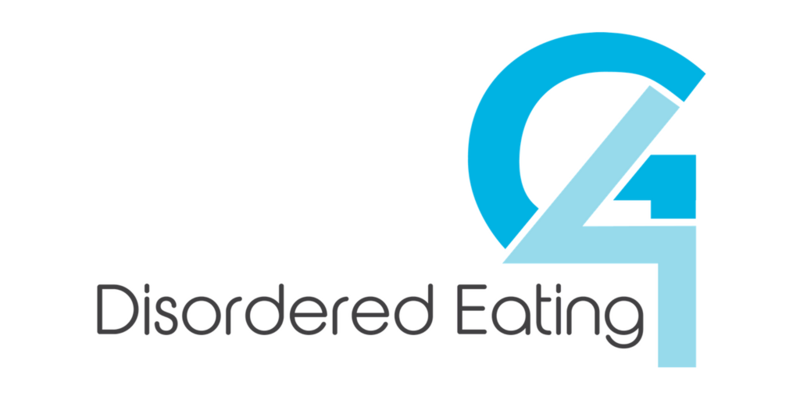 In this section, we will examine the physical effects of disordered eating. Your goal is this section is two-fold: (1) identify those changes that are already occurring in order to motivate an adequate level of commitment to change; and (2) be aware of coming dangers if you do not commit to a healthy relationship with food to offset the temptation to quit when your motivation inevtiably wanes. If you are uncertain about the presence of these changes, then speak with your doctor to help you make this assessment. We will examine how to counter these effects more in step six. The malnutrition of anorexia affects a wide array of body systems. When the body does not get adequate nutrition, there are literally no parts of the body that are unaffected. The effects listed below are representative, not exhaustive, of the impact anorexia has on your body. Osteoporosis / Osteopenia – Bones fail to get the calcium they need to remain strong; becoming brittle. Not only do bones break more easily, they become less capable of supporting your body structure – due particularly to deterioration in the spinal column – and chronic pain develops. Being underweight does not offset this structural compromise. Rather than appearing young and fit, you accelerate the visual impact of age – being brittle and slumped. Dry, Rashy Skin – Skin becomes papery for the same reasons bones become brittle; malnutrition robs them of their needed recuperative supplies and a multi-vitamin is inadequate to offset this deficiency. Bruising and cutting of the skin become increasingly easy to do. Similar deterioration happens with your hair as well. Gastrointestinal Imbalance – Our digestive tracks were designed by God to operate with a rhythm of activity and inactivity. Unnaturally long dormant periods affect our digestive system like leaving your car in the driveway not driving it for six months. You may think because its unused it cannot be broken, but that is untrue. Abnormal Blood Count – In our day we seem to be more concerned with neurological imbalances than blood imbalances (both are important). Not only does anorexia result in deficient supplies of nutrients for the blood to transport to the body, but also of the ratio of red blood cells (anemia – energy levels), white blood cells (disease resistances), and other blood cells get off balance. Hypoglycemia – When your body has inadequate glucose levels it experiences shakiness, dizziness, mood swings, visual disruptions, increased sensitivity to cold, and difficulty concentrating… among other things. When you view calories as evil, you are cutting off the glucose supply that stabilizes these symptoms. Slowed Thinking – Inadequate glucose for the brain results in this and the next effect. When the brain does not have adequate energy stores, it will not perform optimally. The greater reduction in its energy stores, the greater the reduction in its ability to process information. Mood Swings – Malnutrition impacts emotional stability in several ways. First, the sub-optimal brain performance makes it harder to process life events. Second, the lack of energy creates an emotional instability comparable to prolonged sleep deprivation. Third, the lack of nutritional supplies compromises the body’s ability to produce the needed neurotransmitters related to emotion. No Menstrual Period – The body is excellent at prioritizing those functions which are most necessary for survival. As malnutrition becomes more pronounced, the body will shut down a woman’s menstrual cycle. This is a sign that malnutrition is reaching severe proportions. Infertility can result from these changes. Irregular Heartbeat – As your overall body weakens and has to work harder to maintain basic survival functions, the decrease in potassium results in an irregular heartbeat that can result in heart failure. You do not have to be “dangerously thin” in order for this effect to take place. Often death occurs because people believe they have to be at the most degenerative end of anorexia to experience heart failure. All of the effects of anorexia could be listed under bulimia as well. Because purging interrupts the absorption of nutrients, the food ingested during binging does not offset these effects. The symptoms listed below are those that uniquely begin to emerge from the various approaches to purging. Severe Constipation – When laxatives are abused in purging, the intestines become dependent on their influence. The rapidity and ease with which laxatives cause food to pass through the intestines results in a muscle decay that is comparable to what happens with our leg and arm muscles when we live a sedentary lifestyle. Body Swelling – Vomiting results in the body becoming dehydrated. Your body resists this by storing water. This is because your body likes you more than you like your body. It wants you to survive and knows that fluids are necessary. The results can be swelling in the face, abdominal area, hands, legs, and feet. Tooth Decay – Purging by vomiting results in stomach acid frequently passing over your teeth. Your teeth were not made for this acidic environment, so they decay. Cavities and even tooth loss can be the result. Esophagus and Voice Box Damage – The acidity of vomiting does not just affect the mouth. It also affects the passage from your stomach to your mouth. This is your esophagus and includes your voice box. The health complications of these effects can be severe. Stomach and Intestinal Ulcers – The more you vomit the more stomach acid your body loses. The more stomach acid your body loses the more stomach acid it produces. When you habituate your body to produce stomach acid, it produces an excessive amount. Add this to an inadequate amount of food for the stomach acid to work on and it begins to erode your stomach wall and intestines. Over-nourishment can be as detrimental as under-nourishment. Remember, our goal is to find the range of nutritional intake that allows us to steward our bodies well and learn to be content living in that range. That means we also need to examine the impact of providing our body with too much food. Obesity – This may be the most obvious effect both logically and physically. Our body stores excess calorie intake as fat. This becomes weight that our body must carry and additional living mass for which our body must care. In both of these ways, the larger we become, the more stress we put on our body. Gastrointestinal Imbalance – Overeating creates an opposite GI imbalance from under-eating. When we overeat our digestive system does not get the rest God intended. This overuse does not provide time for the natural recovery processes God designed for our digestive system. Overeating does for our intestines what sleep deprivation does for our brain. High Cholesterol / Heart Disease / High Blood Pressure / Stroke – These four affects cluster together. Our circulatory system was not made to be jammed with extra cargo and to deliver nutrients across a body that begins to grow wide after it has finished growing tall. When we stretch our circulatory system in this manner high cholesterol and blood pressure will result in heart attacks and strokes. Diabetes – Obesity is the leading cause of type II diabetes and account for 95% of the occurrences of diabetes in the United States. Your body begins to have trouble processing the glucose in your blood. Many more health effects begin to emerge because of the presence of diabetes. Sleep Apnea – Obesity is also a leading cause of sleep apnea, the obstruction of breathing while you are asleep, which results in a poor quality of sleep. Often this becomes a spiral as you sleep poorly and then crave sweets or carbohydrates as a way to compensate for the lack of energy which sleep should have provided. Arthritis – When your body is asked to carry extra weight, it takes a toll on your joints. This results is persistent pain and less mobility; factors that make it harder to exercise in order to lose the extra weight. If you’re thinking, “This won’t happen to me.” You’re wrong. This is how your body works. If you spend more than you make, you’ll go bankrupt. If you fail to obey the law, you’ll go to jail. If you mistreat your body with food in these ways, these are the health consequences. You can allow this warning to make you more sober and begin working to offset the lifestyle that produces these effects now, or you can wait until they are so pronounced you cannot avoid them and face much more intense challenges then. As a body-bound human being, we are not afforded any other options. Read Genesis 2:5-9 and John 1:14-18. Notice how pro-body God is. God thought it was worthwhile to make a body for our souls. When Jesus came he thought it good to have a body. Don’t allow the realities of this section to merely produce fear-based change (avoiding painful health conditions). Allow this section to awaken you to the blessing it is to steward the gift of a body. Strive to think more of honoring God than punishing or comforting yourself when you partake of a meal. Read Exodus 20:13. Before this section it might seem extreme to parallel disordered eating and the command, “Thou shall not kill.” But if Jesus would say that lust is early-onset-adultery (Matthew 5:27-30), then starving yourself to death (anorexia and bulimia) or embracing a lifestyle of obesity is early-onset-suicide. Often we only think of the 10 Commandments in terms of how we treat others. “Lying to myself isn’t really lying,” we think. But the 10 Commandments apply equally to how we treat ourselves. It is wrong to abuse yourself with food; not because God wants to be the food-police, but because God is a loving Father who wants to see his children flourish. God’s commands are for your good; not to make life a moral gauntlet.